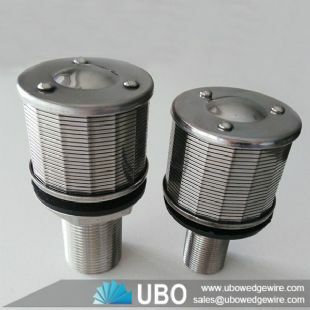 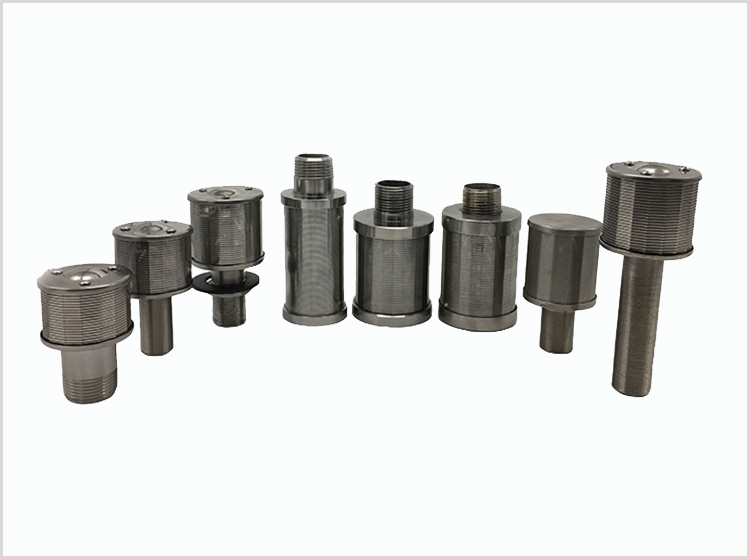 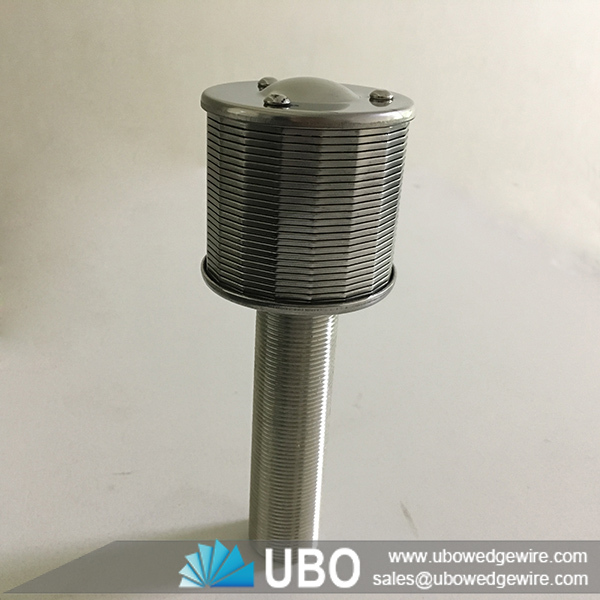 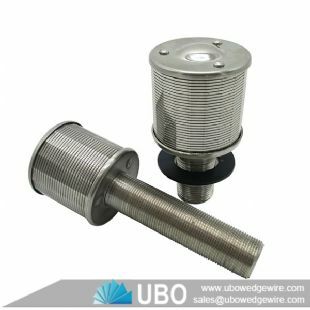 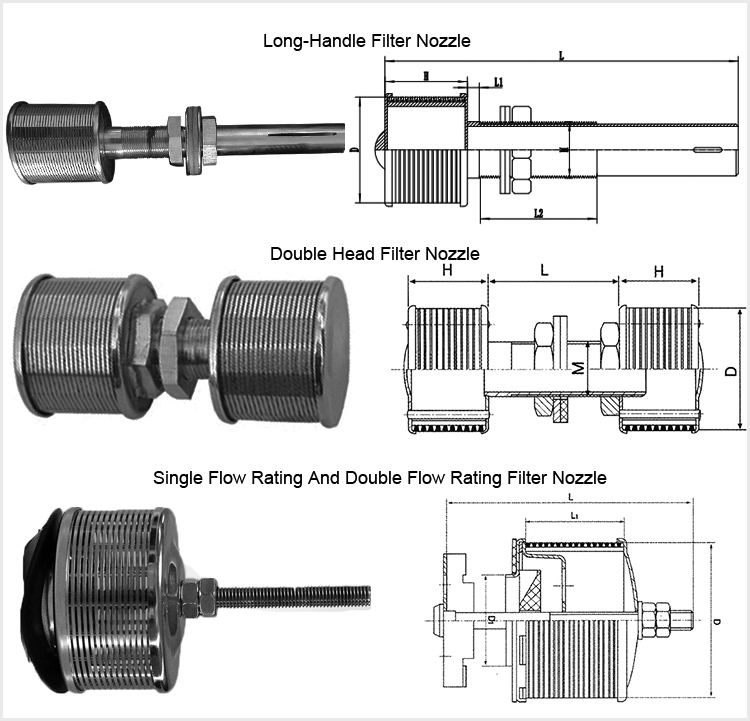 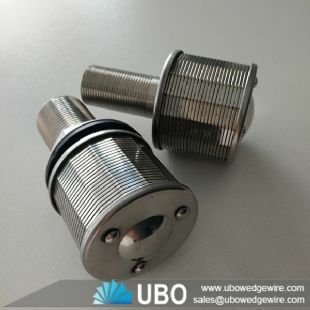 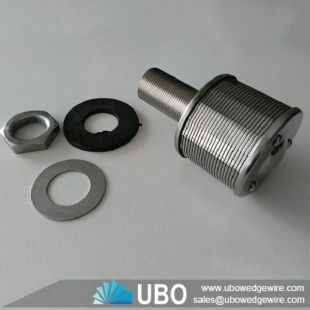 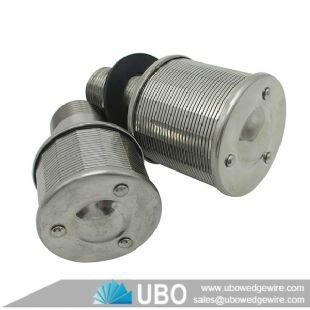 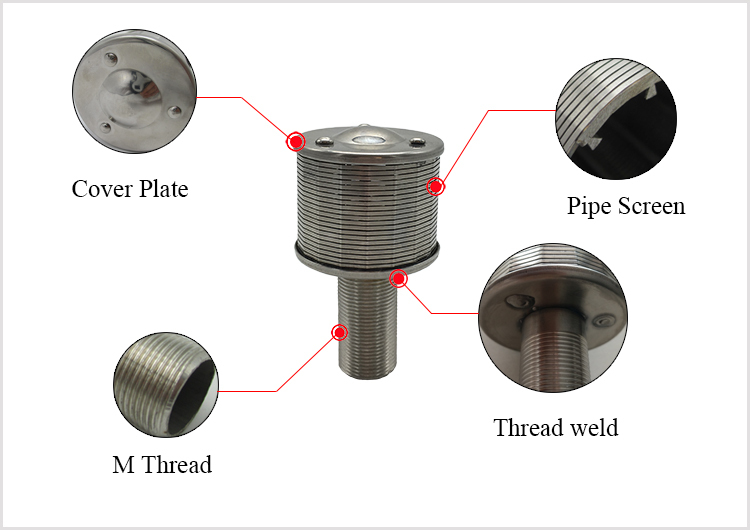 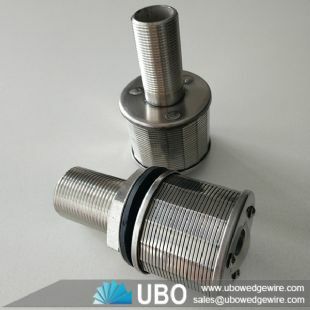 Wedge wire water filter nozzle strainer is composed of V-profile wire stainless steel which is spirally wrapped in certain equal slot. 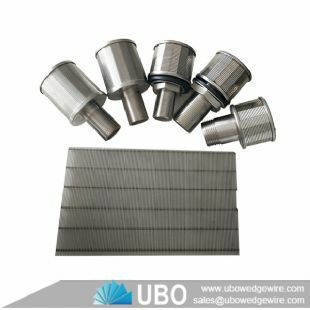 To maintain the slot size around inside and add extra strength are mounted. It has each cover for both ends of nozzle.Each wire and rod are made by spot welding. 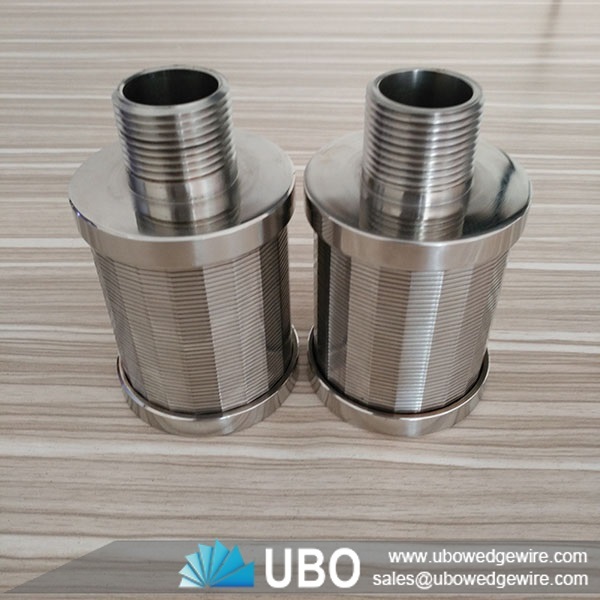 and fitting pipe is adjusted according to the thickness of set bottom plate.Nozzle is completed by welding fitting pipe to a cover of down end after setting screw according to the type of nut.